Email is a far more effective way to acquire customers than all that tweeting and posting and “liking” you’re doing on social media – nearly 40 times more than Facebook and Twitter combined. If you’re wondering why marketers seem intent on e-mailing you more and more, there’s a simple explanation: it works. Email’s advantage holds if your goal is to acquire customers, and not just share the latest family news or travel experience. While there is a lot of hype around social media when it comes to usage, email wins hands down. Customized landing pages – which send the user directly to the item or offer featured in the e-mail – can increase conversion rates by more than 25 percent. And don’t forget mobile. 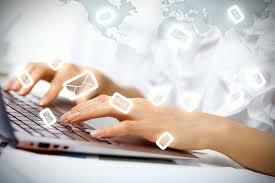 Nearly 45 percent of all marketing e-mails today are opened on a mobile device. Google says 61 percent of users are unlikely to return to a mobile site they had trouble accessing. And, even worse, 40 percent visit a competitor’s site instead.